When Adora of The Gingerbread Mum asks for mummies to share their breakfast with the SMB group, I volunteered. Thank god for a whole shelf full of cookbook and a little tiny one that has breakfast recipe for kids. 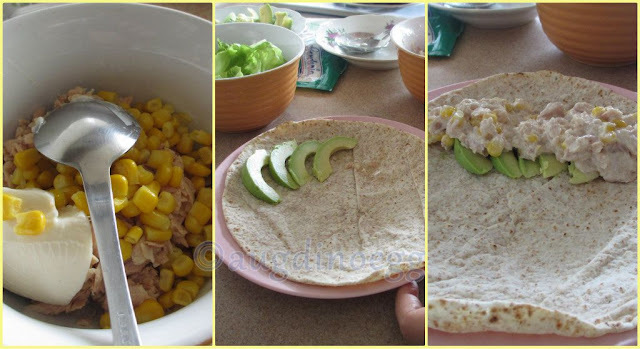 I have chosen this particular breakfast as DinoEgg loves corn & I think corn with tuna will taste fantastic. Avocado with its soft buttery taste, creamy mayonnaise, crunchy corn kernels & lettuce and tuna with sunflower oil together with the wraps ~mmmmm~ Its a heavenly combinations! My very 1st healthy breakfast made with daddy's help. I am clueless about cutting the avocado (I always drink it or eat it, never get my hands onto 1). 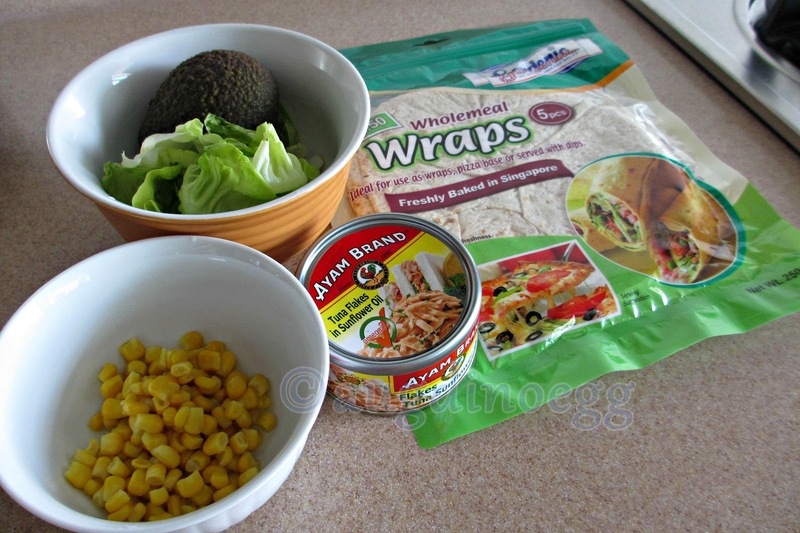 I also have trouble folding the wraps, its just not tucked tight enough and the fillings are almost falling out. I would love to do this with DinoEgg but for the 1st try I thought I'd leave him out this time. Daddy & DinoEgg love the wraps which they finishes it up fairly quickly. PS : The recipe says baby spinach leaves but I changed to lettuce as its DinoEgg's favourite. I used can tuna with sunflower oil as its more fragrance. HAVE FUN MAKING THIS WITH YOUR KIDS! This is a Breakfast for Champions initiative by 14 Singapore Mom Bloggers. Click on badge below to find out what other yummy delights you can make for your family! Looks easy and yummy! I'm not a fan of tuna, but my hubby is. I think I'll make this for him for a treat :) Thanks for sharing! Its easy to make, the difficult part for me is the rolling. Epic fail LOL the fillings are screaming to escape from the wrap. Yes I love a meal that's easy to prepare and yummy!!! With avocados especially... good job Dinomama! I was afraid that DinoEgg does not like avocados, he took it out from his mouth and asked me what is it and pop it back in when I told him its avocados, happily munching on his wrap. It looks super yummy. Should try this one day for my kids. Dominique, maybe can get your kids to join in the making, they will enjoy it. Yummmmmmy!!! Will try soon, thanks for sharing! Share your post too when you have made this. wow it looks good! i'm going to try this too! 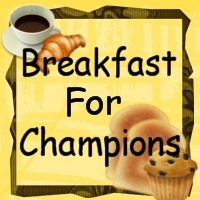 thanks for taking part in the breakfast for champs linky party!! The wrap is not tough, instead its soft so should be ok for kids. 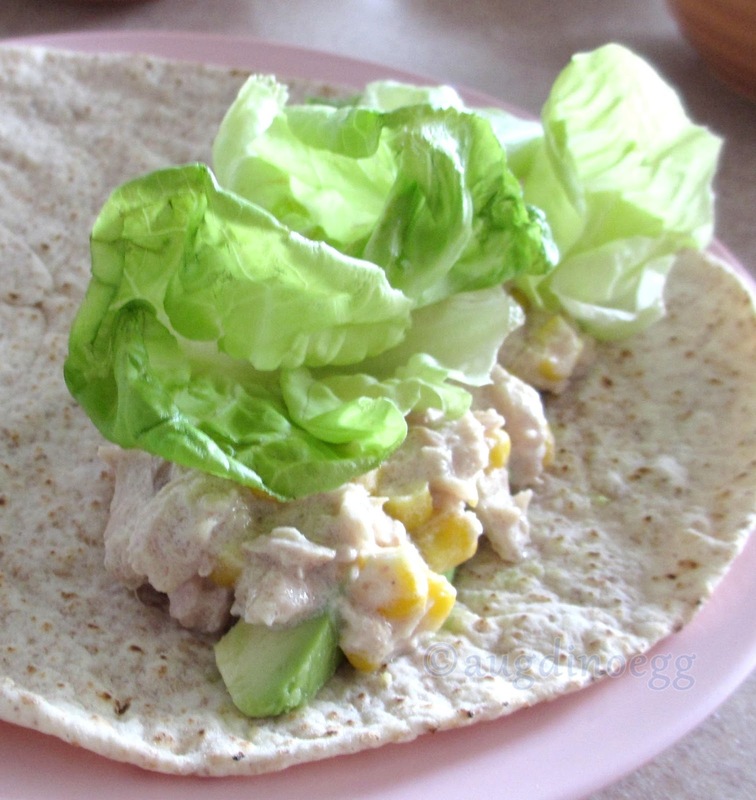 I bought wholemeal wrap which has a nice fragrance and tastes nicer then the plain ones too. Oh... I just bought the plain ones because it is on offer now when you buy with chicken breast in NTUC. Hope to make this weekend filling with chicken breast and probably mango. See how it goes. Great! Grilled or boiled chicken breast? idea! Maybe I shld try this too. Should be steamed... since i‘ll be making hard boiled egg the same time. Cool! Post up the link here after you have done up. Would love to do so but just couldn‘t wrap it up. 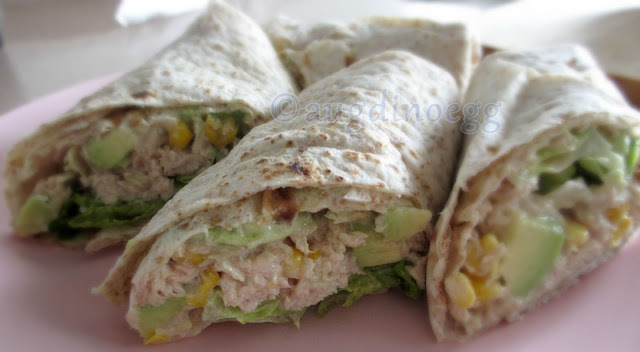 Haiz... i am lousy at wrap.